Welcome to the MetaFlows Blog’s First Feature of the Month! This month, we thought we would start things off right by spotlighting our proprietary, groundbreaking Soft IPS technology. The long and short of it: Soft IPS enables you to block threatening traffic passively, or not in line. The benefits to being able to effectively stop threats without being in line are many. For starters, your security is more secure- it isn’t a threat in itself and your network can continue uninterrupted. No firewall modifications are needed after every major event and threats can be blocked in real time! But HOW?! 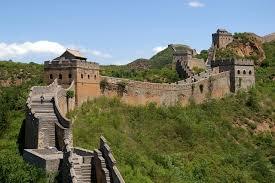 If you are more technically inclined, please read on to see how, through reverse engineering the Great Wall of China, we are able to make accomplish such things! Uses powerful active response technology to block unwanted traffic (Bots, spyware, P2P, etc..) and actively learns which hosts on a network need to be isolated. Want to learn more? Jump In!